Who Owns the Big Four Australian Banks? You will know that New Zealand banking system is dominated by four large Australian banks, but did you know who owns them? Well I did a bit of a search and found this website called Spankyourbank. There you can look at http://www.spankyourbank.com.au/who-owns-how-much-of-our-banks where it gives the ownership chart. Four companies dominate. We find that between them, the four, HSBC, JP Morgan, NAB and Citigroup own 49% of ANZ, 34% of NAB, 43% of Westpac, 38% of the Bank of Queensland, 37 % of the Commonwealth Bank and 28% of the Bendigo Bank. So while we worry that the big four in New Zealand are owned in Australia, it is not quite true. They are owned by UK and US based banks. For example BNZ, purchased by National Australia Bank (NAB) in 1992, has the following five largest shareholders: HSBC Custody Nominees 16.9% J P Morgan Nominees 12.2% National Nominees 11.5% Citicorp Nominees 4.6% Cogent Nominees 1.9% HSBC has 13.6% of the Commonwealth Bank, which owns ASB, 17.5% of ANZ as well. 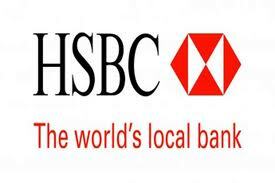 Now who is HSBC? Well they are so big that when they were fined last December a record $1.9 billion for money laundering, they were not just too big to fail but too big to jail. While HSBC has been caught laundering tons of cash for drug cartels and alleged terrorists, yet no bank officials will be prosecuted or imprisoned. An editorial in the NY Times http://www.nytimes.com/2012/12/12/opinion/hsbc-too-big-to-indict.html?_r=0 on 11 Dec 2012 said it was a dark day for the rule of law. They were sponsors of the Sevens Rugby Tournament and no questions were apparently asked.